+ Author of The Servant of the Manthycore, Michael talks about his new novel - and a whole lot more. The Servant is a woman who is enslaved to a terrible beast who eats human flesh, but does not care to hunt for it.... Her only hope is that she can someday find someone who can kill her and the beast, and so free her lover that the manthycore holds preserved to compel her service. 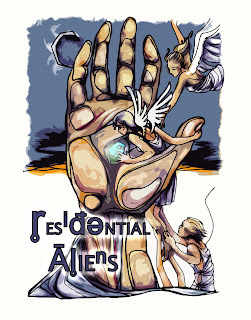 + Author, editor, and fixer of computers, CW also created the cover art to go with her silly fiction below. 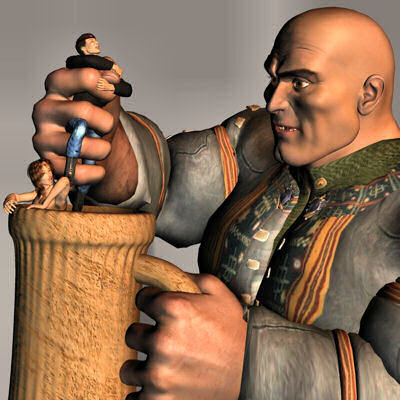 + Silly Fantasy Flash Fiction (370 words): What's a giant to do when he captures a passel of thieving humans? "Humans. They're too small to eat for lunch, but they taste great as a snack with beer. I had some just the other day." + Doomsday Science Fiction (5,780 words): When you have eight minutes left to live, there isn't a lot of time for the trivial. The television erupts to life, the news conference splayed across its wide face. Free of static now, the face of the scientist fills the whole of the oversized display, his nervousness palpable and evident in the drips of sweat forming at his brow. + Supernatural Thriller (1420 words): When a church is slated for demolition, does it call back its dead for one last congregational meeting? “I’ve called for help,” the pastor replied and raised his hand. He looked in my direction with empty eyes. I realized they were only sockets. He was blind at the end of his life and the malady followed him into the grave. The figures in the pews all turned, showing me their ghastly faces. + A Speculative Literary Piece (925 words): Angie contemplates self-acceptance and the definition of beauty. 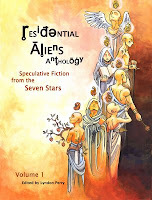 A genre first for ResAliens (PG-13 for subject matter).